Many of us like to know where our food comes from these days. In West Dorset, we are particularly lucky to have a wealth of amazing produce and Open Farm Sunday is a great opportunity to discover behind the scenes of a couple of our local farms and really see where our meat, dairy products and vegetables come from. Open Farm Sundays started in 2006 with 300 farmers sharing their knowledge and love of the countryside and every year tens of thousands of people enjoy asking questions, sampling produce or buying direct from the farmers. My family went to visit Denhay and Washingpool Farms last year. I must admit that my husband and children were not totally convinced when I suggested it but they did enjoy it, much to their surprise. 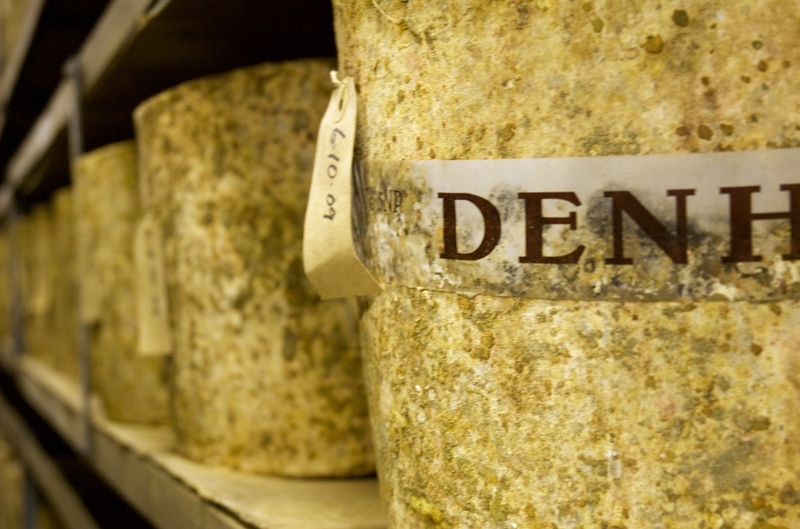 Denhay Farm, run by the Streitfield family in Broadoak are famous for their Farmhouse Cheddar. We hopped on a trailer, hay bales for benches, tractor taking us up through the large farm to the dairy whilst George explained the importance of edges, how and why they have changed over the years and talked a bit about organic agriculture. In the dairy, we discovered 21st century milking from a balcony. It’s quite a sight and was interesting for the children to see the first part of the milk journey to their glass. We might live in West Dorset and have friends who are farmers, it’s always interesting to see a farm on that scale. Amanda Streitfield then did a talk on how their award-winning Farmhouse Cheddar is made and showed us the huge cylinders being matured into pure taste. We stocked up on cheese and bacon whilst drinking a welcome cuppa and went on to Washingpool Farm. Locally, we all know Washingpool Farm shop in North Allington, a few minutes outside of Bridport so it was really interesting to walk through the market garden behind the shop and see where these fruits and vegetables are grown; food miles, what food miles? For Open Farm Sunday 2011 Washingpool Farm also have sheep shearing and a photography competition. Click!